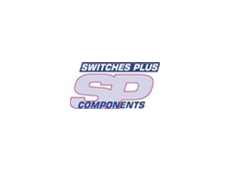 Switches Plus Components provide Explosion Proof Telephone units that are ideal for ZONE 1, 2, 21 and 22 applications. 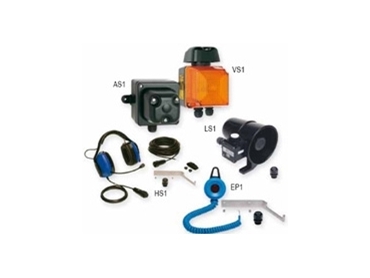 These glassfibre, reinforced polyester housings have an integrated adjustable stabilizer bracket and a stainless steel armoured handset cord for extra protection. 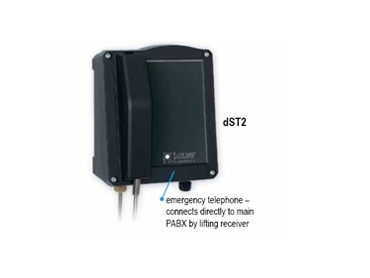 There is also the dST2 model available, this unit has no keypad and been designed to be an emergency telephone. 01/09/06 - A rugged keypad, S.series, which combines strength, versatility and beauty, is available from EAO -the expert partner for Human Machine Interfaces. 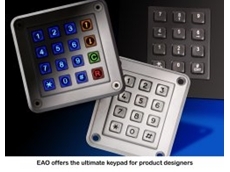 31/08/06 - A RUGGED keypad that combines strength, versatility and beauty is available from EAO. EAO's S.series keypad is suitable for any application that requires a key-entry control, including access control systems, industrial machinery, banking terminals, public telephones, kiosks and vending machines. 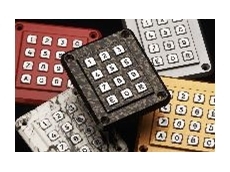 29/09/05 - EAO, represented in Australia by Switches Plus Components, offers design engineers a fully customisable, extremely reliable, rugged keypad. It is suitable for harsh environments, such as outdoor and unsupervised locations. 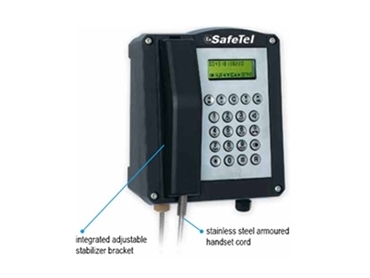 The solid metal S.series keypad range features front plate and anti-pull-off keys constructed from Zamak, guaranteeing a high level of vandal-resistance. 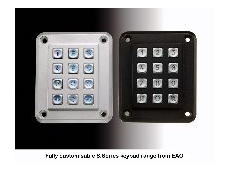 05/08/05 - EAO, represented in Australia by Switches Plus Components, has created flexible design options for the S.series keypad so the product can be adapted to match its surroundings and blend into any environment. 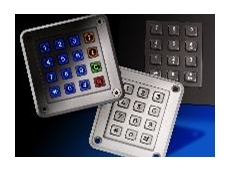 The company offers full customisation services for its S.series keypad range, including full colour front plate designs, laser engraving and key illumination.